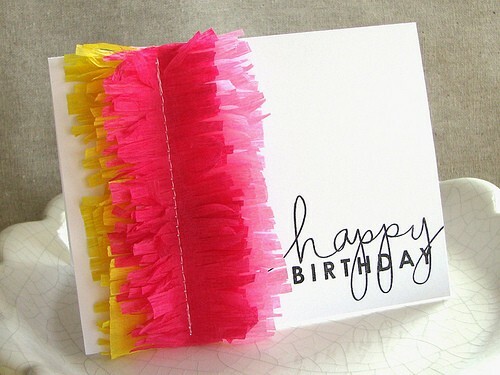 Jessica was inspired by a fun crepe paper idea from Jordan Ferney to create this fun fringed crepe paper birthday card. 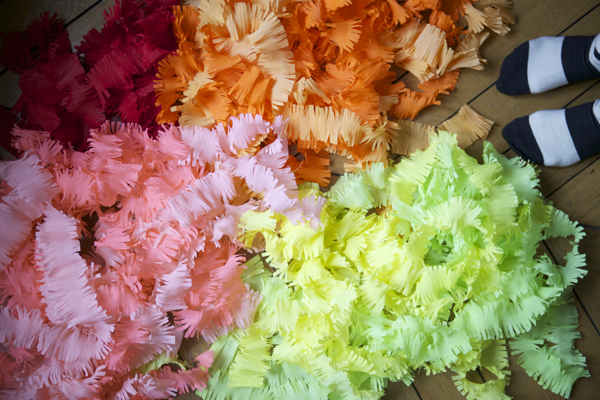 The idea that started the inspiration is actually one of my favorite too, the fringed crepe paper streamers from Oh Happy Day. You can check out how to make a fringed crepe paper birthday card over at Paper Crafts.